BlitzHangar.com – Hidden stats, 3D models and more! I want to share with you a project I've been working for some time and recent update seems like a good opportunity to do so. This project called BlitzHangar.com and it is aiming to be a tactics guide for new and progressing players and a general knowledge database. At the moment there is only bare minimum of information, but I think it can be already helpful to somebody. There are accurate stats (including some of the hidden ones) for all tanks with modules, equipment and provision configurations, armor strong and weak spots, armor performance in several situations and set of basic tactics for each tank. All data comes from game client. more tactics and refinement of existing ones. Feel free to leave your feedback/found bugs here or contact me any other way. Edited by lltwox, 12 June 2018 - 09:25 PM. Good luck, I'll take a look and get back to you. Nice website. Interesting take on the recommended tactics. Edit : Nice information ! Edited by Peter_Moosey, 19 July 2017 - 11:02 AM. Bat Chat as tier 9 premium light? Edited by EvilBlizzard, 19 July 2017 - 03:07 PM. Agreed, better than the official WG Tankopedia. I said it already in the NA forums, but that's a very nice site and nice effort by the devs. So, I've been going through the changed data more thoroughly and I've noticed that turret's armors on T-62A and Obj. 140 were changed. Those changes do seem logical, but why not put them in the patchnotes? Or I'm missing something and it was like that before? I hope it means we get tier IX Light tanks only. The site looks great, very ambitious. I'll be sure to try and use it when I write my reviews and things. Overall some nice features and many things that ive not seen before. I admire your courage in regards to tactics however this will undoubtably lead to criticism. For example, I only checked tortoise and it says its not good at peek a boom, however, tortoise can peekaboom quite proficiently due to its massive gun traverse arc. In fact it is how i play it most of the time, especially as lowest tier. Just something for you to be aware of. Did you compile them from your own observations or is this info fed from a resource? Sure. XM551 Sheridan, tier IX Light tank. Another great resource, thank you for creating this. I don't think a little bit of controversy is a bad thing. 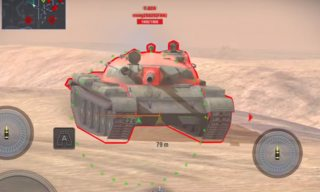 We can learn from how other players use their tanks. I give tactics ratings based on tank's stats. In some cases using absolute values (for example 0.38 is a good dispersion for sniping) and in some relative to the others in the tier (comparing dpm for 1vs1). These values I got from common knowledge, videos from youtube, personal experience and just statistics of all tanks on the tier. They are not final and will probably be adjusted multiple times if project goes forward. For now it is just something to begin with. As for example of Tortoise. I think I give a bit different definition of peekaboo. For me it's sneaking for shortest amount of time possible, so that even if somebody is aiming at you, you still get away not being hit. 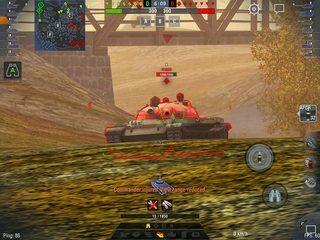 On Tortoise you can bounce a lot (being angled and with good armor) and not show your side and hit enemies, but that's just effectively using cover, not "peekabooing", in my opinion. Nice site. Looking forward to using it. Yep, at some point it would be good to get clear on definitions. I've always thought of peek-a-booming as darting out from a building or rock, shooting, then darting back behind it. Effectively using cover is more a general term with me referring to, for example, using the landscape to get hull down or scouting from behind a bush. What you're describing as peek-a-booming is more like a light tank's tactic. I don't know if it has a formal name, but I'd call it hit and run. Edited by Knickerson, 20 July 2017 - 08:45 AM. I have the T1E6 on the press account, but I can't remember where it came from. Did it use to be a gift tank?